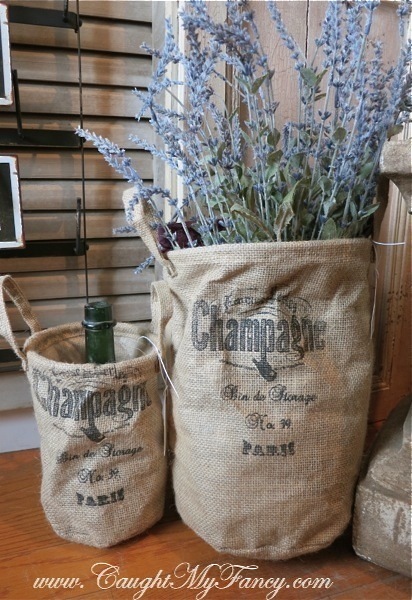 These burlap champagne buckets are perfect for lots of things when when not being used with champagne! Lined on the inside and French graphics on the outside ~ and handles make them so easy to carry. Only large size available, measures 17" tall by 11" in diameter.